Beautiful zoo perched atop the mountain. The cable car up was a perfect start, and the various shows were nicely organised with bits of push for conservation included. Australia’s unique wildlife is one of the country’s main attractions. 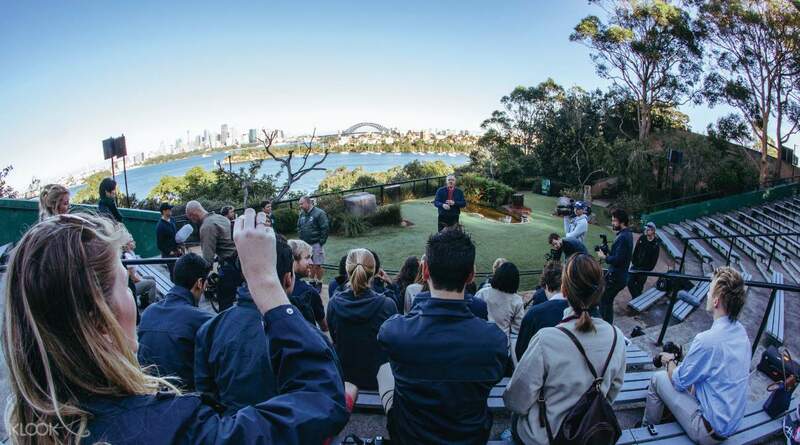 A visit to Taronga Zoo in Sydney is an unforgettable experience and a chance for close encounters with some of Australia’s most iconic animals. Meet koalas, kangaroos and even platypuses! See over 350 different types of animals, learn about their daily routines, and watch live shows! Located on the stunning shoreline of Sydney Harbour, Taronga Zoo is surrounded by beautiful landscapes that are perfect for a stroll before exploring the zoo. 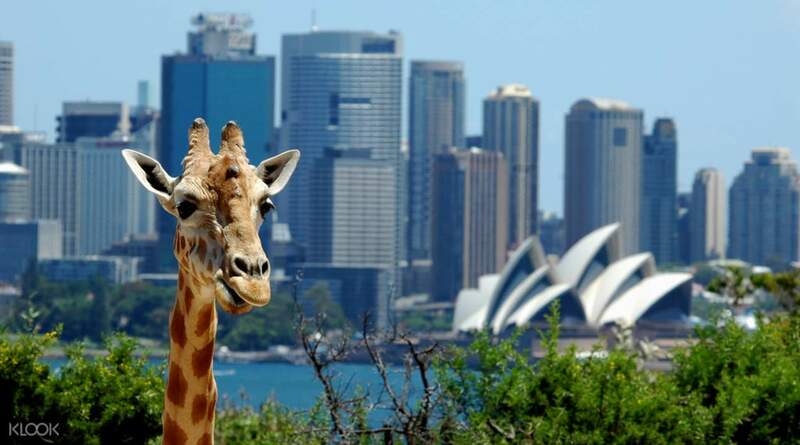 Visit Taronga Zoo with the whole family for a fun filled day! Live shows are a great way to learn more about the animals! See over 350 species of animals! 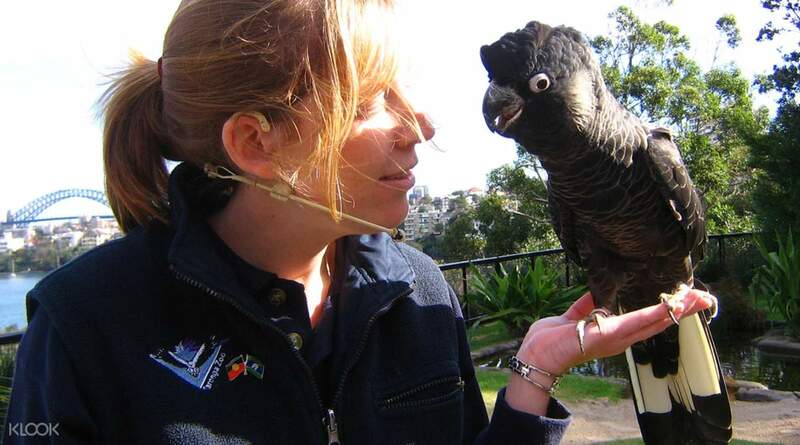 Taronga Zoo is a great destination for the whole family! Exellent place for whole day and relax with kids. 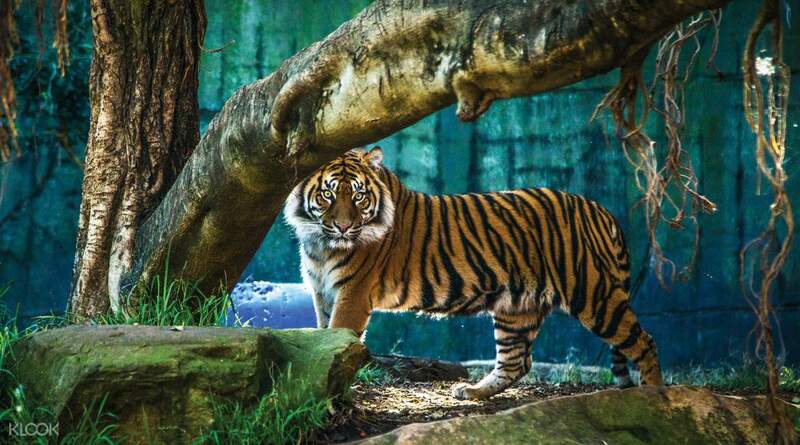 Try to manage time to experience the show and and daily special program Need to print out voucher and dowoad Tarongazoo app when you are there, it help us for tracking where you are and where you want to be in the zoo. Exellent place for whole day and relax with kids. Try to manage time to experience the show and and daily special program Need to print out voucher and dowoad Tarongazoo app when you are there, it help us for tracking where you are and where you want to be in the zoo. Very incredible. The zoo is very historical. Can’t imagine what it’s like when it’s first opened. Like all the marsupial animals. They are unique in Australia. The zoo is well managed. The staff are very friendly and informative. They are willing to share all they know about the animals. The most disappointing is the tiger trek. We could barely see a tiger... staff says they hide so well.. Very incredible. The zoo is very historical. Can’t imagine what it’s like when it’s first opened. Like all the marsupial animals. They are unique in Australia. The zoo is well managed. The staff are very friendly and informative. They are willing to share all they know about the animals. The most disappointing is the tiger trek. We could barely see a tiger... staff says they hide so well.. The Taronga Zoo can be reached by either bus or ferry. We took the ferry and the harbour bridge and Sydney opera house view was so amazing! After that, we took a cable car all the way up to Taronga Zoo which was FOC. There were many species to see in the zoo and it will be a great experience for those who have kids! The Taronga Zoo can be reached by either bus or ferry. We took the ferry and the harbour bridge and Sydney opera house view was so amazing! After that, we took a cable car all the way up to Taronga Zoo which was FOC. There were many species to see in the zoo and it will be a great experience for those who have kids! IT’S A MUST VISIT!!! :) Everything were so perfect from the beginning journey of taking ferry in Circular Quay to the ride of cable car to reach the entrance of the Zoo. So many interesting shows to watch and variety of zoo sections to enter. You need to spend at least the whole day as the zoo is very huge and it takes time to explore everything. What’s the most beautiful thing for me is you can also get to see spectacular view of Sydney CBD from there. IT’S A MUST VISIT!!! :) Everything were so perfect from the beginning journey of taking ferry in Circular Quay to the ride of cable car to reach the entrance of the Zoo. So many interesting shows to watch and variety of zoo sections to enter. You need to spend at least the whole day as the zoo is very huge and it takes time to explore everything. What’s the most beautiful thing for me is you can also get to see spectacular view of Sydney CBD from there. Amazing experience with Taronga Zoo visiting. 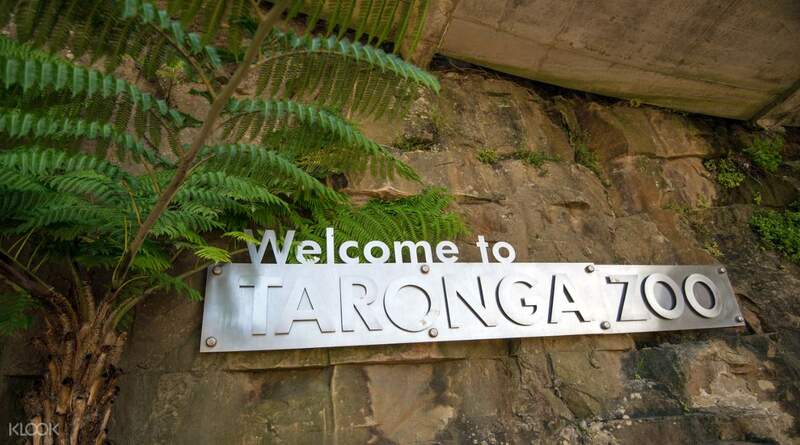 Among all the Zoo/wildlife park we have visited, Taronga Zoo still is the best and a must visit. Taking our 2yo boy along and he is so excited seeing all the animals. Love it. The only problem we faced is the receptionist doesn’t seem to recognise the voucher from KLOOK, but after some checking and I think the are getting their higher management confirmation, they let us enter with the voucher. Amazing experience with Taronga Zoo visiting. Among all the Zoo/wildlife park we have visited, Taronga Zoo still is the best and a must visit. Taking our 2yo boy along and he is so excited seeing all the animals. Love it. The only problem we faced is the receptionist doesn’t seem to recognise the voucher from KLOOK, but after some checking and I think the are getting their higher management confirmation, they let us enter with the voucher. easy entry since we didn't need to queue separately for it, but it was a bit disappointing that there was no encounter with the animals. you could pet them but it was mostly for kids. a lot of enclosures were under construction but overall, it was a good visit. we also went on a weekday so there were not as many people and it was not overcrowded. easy entry since we didn't need to queue separately for it, but it was a bit disappointing that there was no encounter with the animals. you could pet them but it was mostly for kids. a lot of enclosures were under construction but overall, it was a good visit. we also went on a weekday so there were not as many people and it was not overcrowded. Tickets are easy to redeem. There are essentially two entrance to the zoo, one of which is if you're going by bus and the other if you're going by a ferry. Just skip the queue and present your ticket at the entrance! You can also get onto the cable cars for free! Tickets are easy to redeem. There are essentially two entrance to the zoo, one of which is if you're going by bus and the other if you're going by a ferry. Just skip the queue and present your ticket at the entrance! You can also get onto the cable cars for free! Nice zoo with great view. Worth spend 2-4 hours of your trip here plus experience of taking ferry (not included in this ticket). Recommended to take a cable car (included in ticket), get a stamp for entry, and have a great walk down the hill. Enjoyed the Aussie session and seal show. Some parts are under construction. Free wifi available & good to get Zoo’s app. Nice zoo with great view. Worth spend 2-4 hours of your trip here plus experience of taking ferry (not included in this ticket). Recommended to take a cable car (included in ticket), get a stamp for entry, and have a great walk down the hill. Enjoyed the Aussie session and seal show. Some parts are under construction. Free wifi available & good to get Zoo’s app. The zoo is pretty big and has various animals around the world. The main attractions (for me) are the seal show, the penguins and Australia’s animals such as tazmanian devils, emu, koala and many more. The zoo is part of Vivid Sydney this year, so you can have different experience with light during night time as well. The zoo is pretty big and has various animals around the world. The main attractions (for me) are the seal show, the penguins and Australia’s animals such as tazmanian devils, emu, koala and many more. The zoo is part of Vivid Sydney this year, so you can have different experience with light during night time as well. It was very convenient to take the cable car to the zoo. All you need to do is to present the pass to the staff, and you can just go straight into the zoo. The zoo itself is very beautiful, and the staff are very friendly! It was very convenient to take the cable car to the zoo. All you need to do is to present the pass to the staff, and you can just go straight into the zoo. The zoo itself is very beautiful, and the staff are very friendly! Q: Is the Sky Safari cable car included in the admission price? And is it one way or round trip? A: Yes, it's included in the admission price and it's round trip.